Tim Wynn returns to the sci-fi genre to score a new alien threat in XCOM 2, the sequel to the award-winning strategy game from Firaxis Games and 2K. 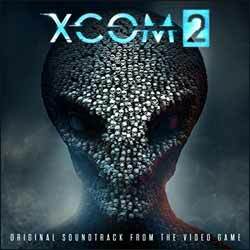 The original soundtrack is available with XCOM 2 Digital Deluxe Edition as well as being available through iTunes and Amazon. Wynn is your musical guide as the game transports players into the future, where humanity lost the war against the alien invaders and a new world order now exists on Earth. After years of lurking in the shadows, the remnants of the secret paramilitary organization known as XCOM must build a global resistance to eliminate the alien occupation and save the human race. The score for XCOM 2 continues the legacy sound of the reboot and expands the franchise's sonic palette with emotional orchestral themes and synth-driven sci-fi ambience now defined by the epic fight to take back the planet. I first came across Wynn's work while reviewing The Darkness II for the PS3 back in 2012. I am very rarely moved by scores for games while I'm playing them (the only real example that springs to mind is Hans Zimmer and Lorne Balfe's music for Call of Duty: Modern Warfare 2) and so it was a pleasant surprise to be sucked in by the music in The Darkness II. I even waded through the end credits to take down the composers name to see if there was a CD release of the score. There wasn't, but his official website (http://timwynn.net) had a handful of the more interesting themes. I even emailed Wynn (something I never do unsolicited) to explain I'd really enjoyed his work and hoped that I'd get the chance to interview him in the future. I still play those The Darkness II tracks from time to time, and so when I heard Wynn was the composer of XCOM 2 I was looking forward to hearing what he'd deliver. Despite the fact I had played and enjoyed the first game, XCOM: Enemy Unknown, I was unaware that Wynn had composed the music. What he delivers here is an interesting mix of electronic sci-fi action adventure themes. Nothing too fancy, nothing too in your face - as it should be for a game of this nature. There's a hint of Alan Silvestri's main theme from The Avengers movie in tracks like 'Squad Loadout'; 'Implants'; and 'Last Hope'. 'Game Over' also reminded me of Balfe's aforementioned score for Call of Duty: Modern Warfare 2. The album contains 29 tracks (1 hr, 07 min, 36 sec). There's no ambient, background filler material here. While there's a touch of atmospheric music it works well to heighten the tension in the game, and when listened to on its own merits is surprisingly satisfying - due mainly down to the fact that it's a multi-layered score with hidden depths. Personal highlights include the opening 'Lazarus'; 'Welcome to the Lab'; 'Out of the Ashes'; and 'Victory'.